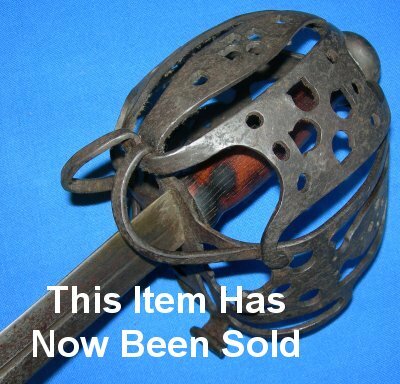 In very good condition, well / traditionally made Scottish basket hilted broadsword. 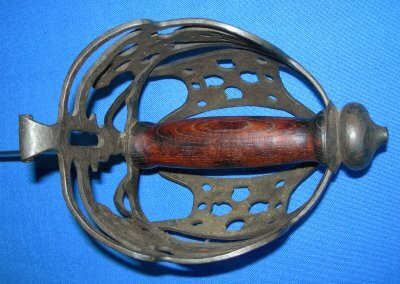 A post-Victorian, most likely late 20C traditionally made basket hilted broadsword. No markings other than those from the forging process. Very solid and well constructed item. 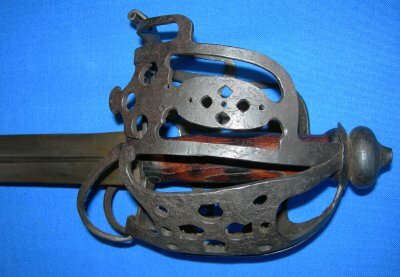 31 3/4 inch blade made in the early 17C style. Wooden grip. I am sure this would cost well over £1000 to commission / make, so our price is an absolute bargain. Further / full sized pictures available upon request. Please quote item reference number D60 (772).